Ocean Cottage by the sea. Click here for a reservation request. 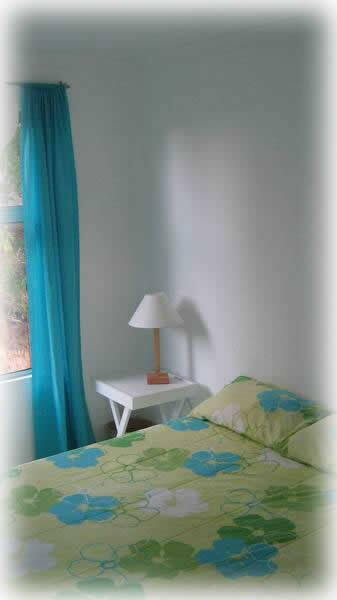 GANSBAAI is well renown as the BIG 2 Town. The Atlantic waters of the Western Cape coastline, between the towns of Hermanus and Cape L'Agulhas (the southern most tip of Africa), is well visited by the SOUTHERN RIGHT WHALES and the GREAT WHITE SHARK, the big two of the souther oceans. The gentle giants of the southern ocean, the SOUTHERN RIGHT WHALES, also visit the waters around Gansbaai to mate, calve and nurse their calves from May to November each year. From the footpaths along the coastline and from a licenced whale watching boat, visiters can really see these giants swim and play from very close. Click here to see some of the attractions. Making your stay as confortable as posible. Alambra House - It is situated on top of a hill, which privides a 245-degrees sea view around the house, and is only a 3 minute walk from the sea. At night, fall asleep to the dancing waves. 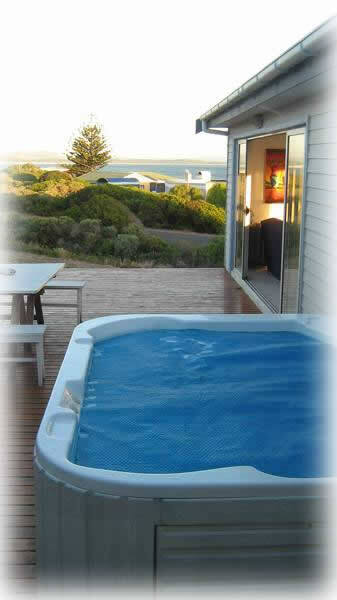 A jaccuzzi is situated on the full-sun wooden deck with sea views and perfect spacing to sunbathe! 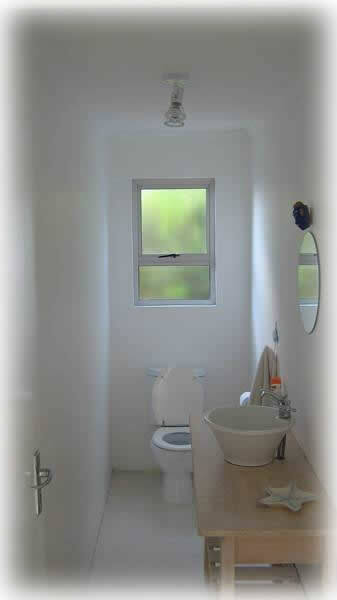 The house accomodates up to 12 people, with enough luxury bathrooms and showers for everyone. Luxury linen, towels and all other bath products are supplied - so be sure to pack nothing else than comfy clothes and of course - your bathing suit ! with his and hers basin.